When that happens, I’m in Morocco with an Egyptian friend. At this point we both live outside Egypt, further from each other than either is from home. We must travel to see each other, but for reasons both complicated and ineffable, we cannot meet in Cairo. There is something refugee-ish about our isolation inside the walls of the medina, our existential anxiety, the fact that we are in each other’s presence against all odds. For as long as we’re there, by coincidence, the riad has no other guests. Nightly we sit in the withered grandeur of the top-floor salon, laptops on laps, and we struggle with the electric plugs, the ornate china ashtrays, the incredibly weak lights. In that salon everything is pretty, but everything is maddeningly impractical. When I mention that I’ve seen pictures of Sargon but never heard his voice, my friend takes me to a web site called Poetry International with three excellent recordings in streaming audio format. The medina is still; and miraculously, that night, the wi-fi never gives. Huddled over the tiny speakers, we listen. Again and again we return to one particular poem: al-laji’u yahki, or (in my translation) “The refugee tells”. Our ears buzzing with the angular, hard-edged vowels of Maghrebi dialect, Sargon’s far-Mashriq inflection strikes us all the more; it is curvy, singsong and strung with Bedouin consonants. The poems are in standard Arabic. Their reader’s mother tongue is Syriac and he has not been to Iraq for decades. But you can instantly tell where he’s from. And it is magnificent poetry. In its quality (but in very little else) it extends a glorious Mesopotamian tradition that stretches back, through Badr Shakir Al-Sayyab and Mohammad Mahdi Al-Jawahri in the 20th century, to the Abbasid caliphate. The poet Sinan Antoon, another Iraqi Christian, tells me the poems are full of rarefied dialect: further evidence of their belonging. But it is more than anything else the voice, the sheer Iraqiness of Sargon’s undulating voice, that stamps them with a sense of place. In a way that no Arab poet ever thought of doing before the Nineties, Sargon embodies the poet as uncommitted wanderer – and, all through his life, he willingly pays the price in homelessness and uncertainty, in refugee-ness. He frees the text of its historical onus, pushes it back into the broadest possible human context. To my friend and me he speaks of voluntary displacement and purposeful disengagement. Geographic flux. Not just because we admire the poems, here and now it seems right to be reviewing his life. First, Sargon makes the journey from the British enclave of Habbaniyya, where he was born, to Kirkuk. It is the Sixties, and together with Fadel Al-Azzawy, Mu’ayyad Al-Rawi and other young prose poets, he forms the Kirkuk Group, a heterogeneous circle fascinated with Flower Power and bilingual in English. A string of risky border crossings takes him to Beirut, where his poems have been “discovered” by Youssef Al-Khal, the editor of the influential journal Shi’r. For several years Sargon lives as an illegal alien in Lebanon. When he is about to be deported, he manages somehow to secure legal passage to America. There are legends about how he does this; the important thing is that, before Saddam Hussein comes to power, before the story of nation building in Baath Party Iraq reaches its nightmarish climax, he is already settled in San Francisco. Amazingly, as my friend and I start to tell each other, there is no nostalgia in Sargon’s poems. There is pained memory, grief, a harrowing awareness of both the cost of moving on and the value of what’s left behind, but no self- or place-pity, no homesickness. Sargon makes you think of how a place can be at once familiar and unfamiliar, how a detail like the shape of a glass or the colour of the light in a window can make home unpredictable, how a moment – the moment his voice came through with the words al-laji’u yahki, for example – can condense and give meaning to two lives. Once again I recall the imperative in one of his poems: “You’re the one who wanted bare adventure and burned the map, now sleep in the dragon’s entryway.” It’s a state of being I think my friend and I have always shared, but tonight it takes on exigent edge. Here, speaking from the internet-ready grave to a pair of temporary life defectors, is the archetypal refugee; we grow even closer listening to him. Reminiscing about this many-sided encounter in Marrakesh – rereading not only “The refugee tells” but also poems about the family left behind in Habbaniyya and what has become of them (Sargon seldom knows), about Iraqi friends remembered or dead or encountered on the street by chance, often somewhere in Europe, about the horrendous conditions they are forced to live with and about their (his) visions of the end of the world – I think again of homeland and identity, of Baghdad as a hub of nationalism. Was it Sargon’s conscious choice to reject this time and place, or was he, as a disinherited Christian, forced out of the story by blood? It occurs to me now that, by remaining marginal to an ultimately disastrous grand narrative, whether intentionally or not, Sargon managed to live out poetic Arabness as nobody else did. 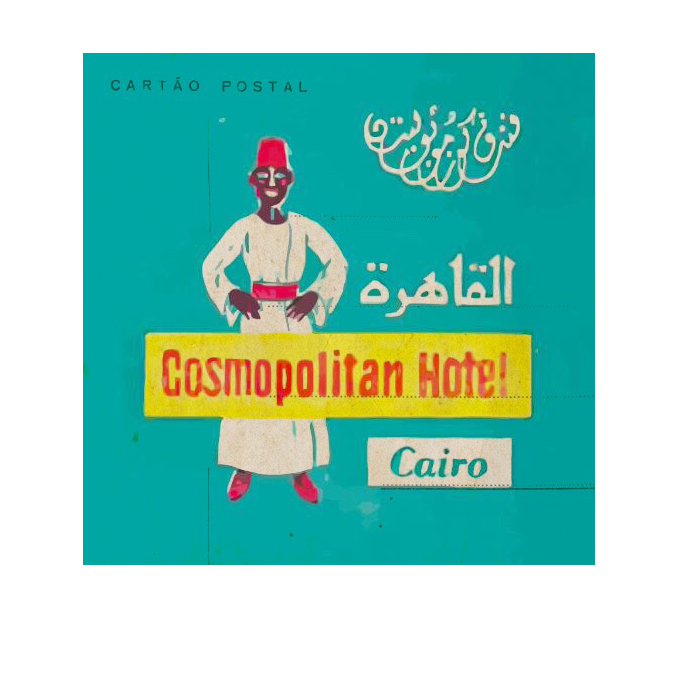 His is (as it had to be) an Arabness in exile, free of the trappings of coming into your own in the politicised Sixties. But it is also (as it should be) free of the tent pegs that hold down the individual spirit. Sargon never gathered wealth, fame or clout; he did not for a moment trade in his prodigal talent for wider or deeper recognition. To this day the Iraqi with the strange name is seldom celebrated in the mainstream cultural media. Yet as I think again of the fall Baghdad, Sargon tells me more about what it means than any Iraqi I know of.